This original article is followed by a summary by a middle school writer. The article "Iron: A Necessary Nutrient" indicates that the human body needs iron to produce red blood cells. Because teenagers are growing, they need extra iron to make added red blood cells. Iron-deficiency anemia is an illness that comes from not getting enough iron. Anemia means “not enough red blood cells.” It causes a person to look pale, to be tired and out of breath, and to not feel like eating. Kidney and lima beans, beef, ham, and some other foods are high in iron. 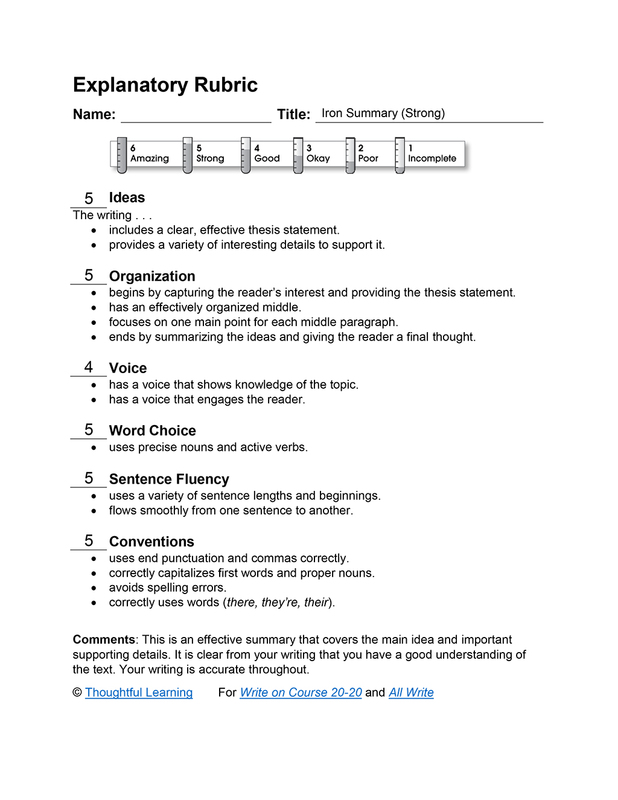 Iron Summary (Strong) by Thoughtful Learning is licensed under a Creative Commons Attribution-NonCommercial-ShareAlike 4.0 International License. Based on a work at k12.thoughtfullearning.com/assessmentmodels/iron-summary-strong.